Walk-thru: We will walk-thru the areas you’re wanting to have cleaned, and properly evaluate your cleaning needs. At this time we’ll address any concerns you may have, and answer any questions as well. We can usually provide an accurate quote over the phone, but we will let you know what the final price will be before we start so there will be no surprises. Set Up & Care: We use corner guards to protect the walls from our hoses and this is just one of the extra steps we take to make sure your home or business is well taken care of. We place drop cloths on hardwood and other delicate surfaces so that they're protected as well. Furniture Moving: We ask that you remove small items out of the areas we’ll be cleaning before we arrive, and secure breakables as well. We can slide furniture out from its original position, clean underneath, and then place styrofoam blocks or plastic tabs under the legs. This ensures no damage will occur to the furniture from the slightly damp carpet, and that the carpet doesn’t become damaged from a wooden or metal leg. Cleaning & Rinsing:We use our truck mounted carpet cleaning machine to rinse and extract the soil, leaving your carpet soft, fresh, and clean. We utilize the Rotovac 360i rotary cleaning tool that provides excellent additional agitation to break up stubborn soil during the rinsing process. It also features a clear sight tube so that we can see what is being removed and provide extra rinsing in more heavily soiled areas that need it. Scotchgard™ & Groom: We offer Scotchgard™ application after your carpet is cleaned as an additional optional service. Scotchgard™ creates an “invisible shield” that helps your vacuum remove the soils that build up over time. It also penetrates the fiber improving your carpet’s stain resistance. 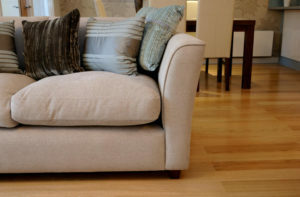 A thorough cleaning of your upholstery will ensure your furniture last longer so you can continue to enjoy them. Upholstery is made of various fiber types, your technician will be able to identify what fiber type and cleaning method that is safe for that piece, and provide an accurate price for cleaning during the walk-thru process. We clean synthetic, fine fabric(cotton, rayon, ect) and leather upholstery. We recommend having your upholstery cleaning every 2-3 years, however depending on use you may wish to have your upholstery cleaned more often. Q:What furniture do you move ? A: We will move small furniture(i.e. coffee tables, end tables, dining room chairs, recliners, light sofas, ect.). We typically will not move heavy items (i.e. china cabinets, entertainment centers, armoirs, ect) or anything with electronics and other breakables on it. This is a safety protocol for our technicians, and your home or business. Q:Can I walk on the carpet after it is cleaned? A: Yes! You certainly can walk on the carpet after its cleaned. We recommend wearing clean socks, or house slippers that haven’t been worn outside to ensure you’re not transferring soils onto your fresh, clean carpet. CAUTION: Walking from damp carpet to hard surfaces may make your feet slippery! There are times during the carpet cleaning process where we run into pet stains and odors. Not to worry we do have the training and the right products to remove these types of issues. Urine is one of those things that if not dealt with properly that the stain will keep returning over and over again. When urine leaves the pet's body it comes out neutral on the pH scale. After it has had time to dry it then becomes very basic on pH scale and that is where the ammonia smell comes from. The urine dries into a crystal so in order for the urine to be removed it requires a product that can break up that urine crystal and it needs a natural enzyme to start to digest the proteins in the urine as well. Where most homeowners fail is that they attempt to use store bought products that on compound the issue and do not really deal with urine at the molecular level. 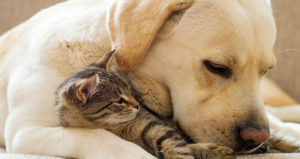 We offer two type odor removal treatment - topical and restorative removal. For our topical pet odor removal process we use a product that helps to break down the urine and urine salt crystals so that they can be removed from the carpet. We apply the product topically and we allow it to dwell to give it plenty of time to work. We then take our sub surface extraction tool that allows us to remove the urine from the padding, carpet backing, and the carpet face yarn. We'll treat the areas multiple times until we see that no more urine is coming out. We then deal with any remaining staining with our specialty spotting products. This process is best for when our furry loved one has marked or urinated in one area over and over again. This issue then becomes that the urine has soaked through the carpet, the backing, and now is being absorbed into the sub floor. First we disengage the carpet and pull it back and we can easily identify the problem area from the back of the carpet. We remove the padding and then clean and treat the sub floor with a sealing product that doesn't allow the urine to penetrate back through leaving the urine contained. Once the sealing product dries we treat the carpet backing and face yarns like we do in our topical odor removal process. Next we'll replaced the removed pad and re-install the carpet. Finally we'll clean the carpet and deal with any staining that remains.